"The Capen House, which stands at numbers 41 to 45 Union Street, bears evidence, in its solid belted front wall and ancient roof, that it was built about the beginning of the 18th century, although the northerly portion was apparently built at a later period. It is one of the oldest buildings in that locality. Hopestill Capen was a shopkeeper in this building for many years before his death in 1807, and also a town official in Boston and a sergeant for the Ancient & Honorable Company. He was "the master" to whom was apprenticed in 1763 Benjamin Thompson, of Woburn, Mass., who later became a distinguished scientist, and was known as Count Rumford. Thomas Capen, a son of Hopestill Capen, succeeded his father as shopkeeper in the old house, and owned the property at the time of his death in 1819. Heirs of the Capen family had retained ownership well into the 20th century. 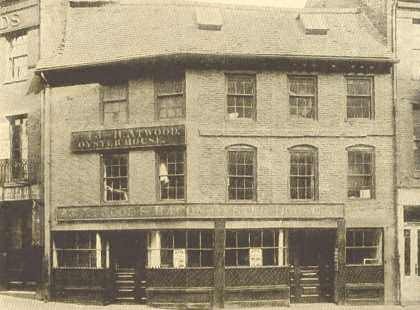 The oyster business has been conducted in the building from the year 1826 until the present time. It is also worthy of note that the Massachusetts Spy was published in the building by Isaiah Thomas from 1771 to the beginning of the Revolution, when it was removed to Worcester." 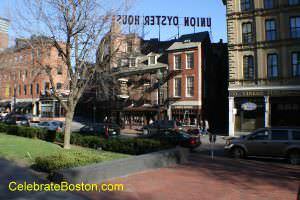 The Capen House is located on Boston's historic Freedom Trail, with the Boston Stone, Ebenezer Hancock House, Holocaust Memorial, Curley Park, and Faneuil Hall, all within one block of the restaurant.